Additional delays with a Boeing rocket has NASA considering commercial help to mitigate further schedule slips in launching the agency’s future deep-space exploration craft. The Space Launch System (SLS) “is struggling to meet its schedule,” NASA Administrator Jim Bridenstine said at a Senate hearing Wednesday. The rocket won’t be ready for a launch in June 2020, when NASA had planned the Exploration Mission-1 flight of its Orion spacecraft around the moon. The agency is now exploring options for meeting that deadline using “commercial capabilities,” Bridenstine said. He stressed that the agency remains committed to Boeing’s SLS, the largest rocket in U.S. history and a “critical capability” for future deep-space missions. The National Aeronautics and Space Administration will decide how to proceed for an uncrewed test flight as soon as this month, he said. An October 2018 audit by NASA’s Inspector General found multiple management flaws in the SLS program, and said that Boeing was likely to spend at least $8.9 billion for the rocket, double the original budget for the contract. A test flight of the Orion capsule was launched in early 2015 aboard a Delta IV rocket built by United Launch Alliance (ULA), a joint venture of Boeing and Lockheed Martin. 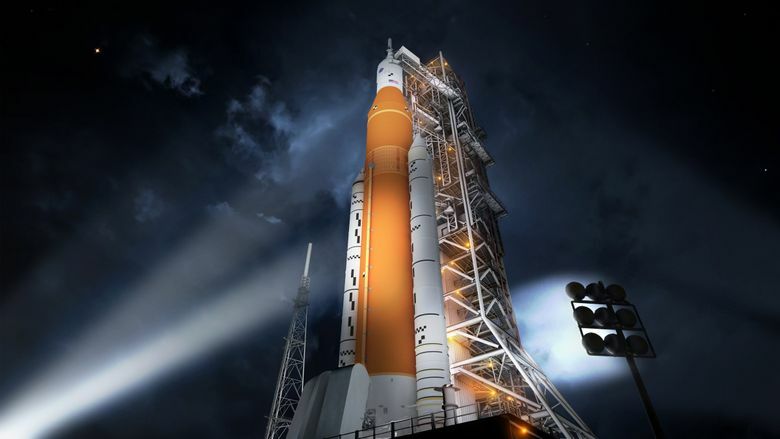 Without the SLS, NASA would be forced to purchase two heavy-lift vehicle launches and then integrate the Orion with an upper stage in orbit, adding to the cost. Bridenstine told the Senate panel that NASA may need further financial assistance from Congress. After the hearing, Bridenstine told the industry publication Space News that he hadn’t spoken with ULA or Elon Musk’s SpaceX about using their heavy-lift vehicles for the EM-1 mission. A subsequent flight, EM-2, would launch with the SLS in 2023 and carry crew members.